P&B Weir Electrical Ltd’s range of Aluflex cable is suitable for temporary earthing of Transmission line conductors within the range 132kV, 275kV and 400kV. PBwel Aluflex earthing leads are produced from multi-stranded, commercially pure aluminium wrapped with a layer of P.T.P. tape and covered with an extruded clear P.V.C. sheath. Flexible clear P.V.C. stress-relieving sleeves are fitted to prevent excessive wear around the compression joints. 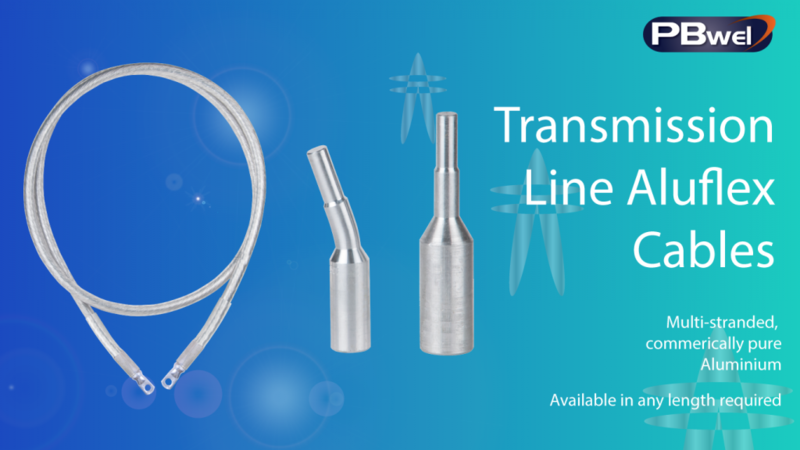 The earth end to line end clamp interconnecting lead has a 50sq mm nominal section area, terminated by PB50F type ferrule terminations. Earth bonds are of a 120sq mm nominal section area terminated by PB120F palm type terminations. Flexible clear P.V.C. stress relieving sleeves are fitted to prevent excessive wear around the compression joints.